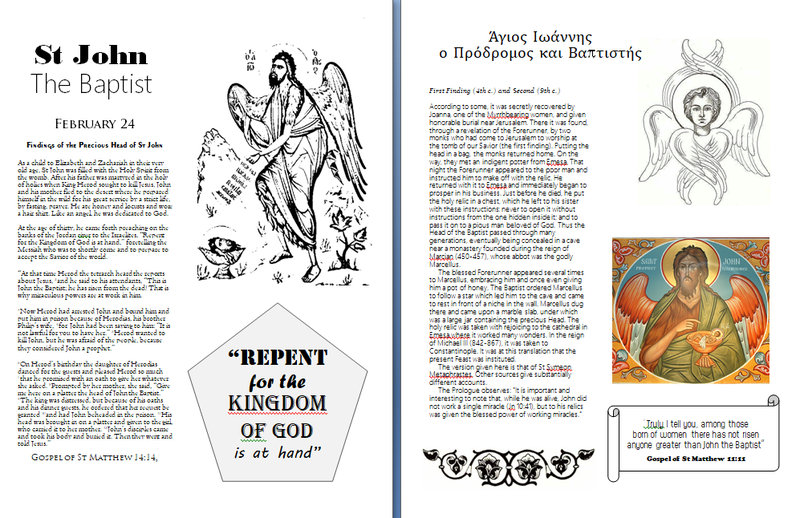 Download and print this free worksheet to discuss the greatest and last prophet who walked on Earth! St John the Baptist, the cousin of Jesus Christ our Lord and God, called out in the wilderness to prepare the way for the Messiah to come. As an infant, he narrowly escaped the rage of King Herod who slaughtered the babies in search for Jesus by fleeing to the desert with his mother, Elizabeth. His father, as we know, Zacharias was martyred in the Temple at the same time. Often asked, why is St John the Baptist depicted with wings? Of course, as fully man, he was not an angel. However, his life was lived in imitation of the angels, with limited need for food in his strict fasting and full devotion to God's service. 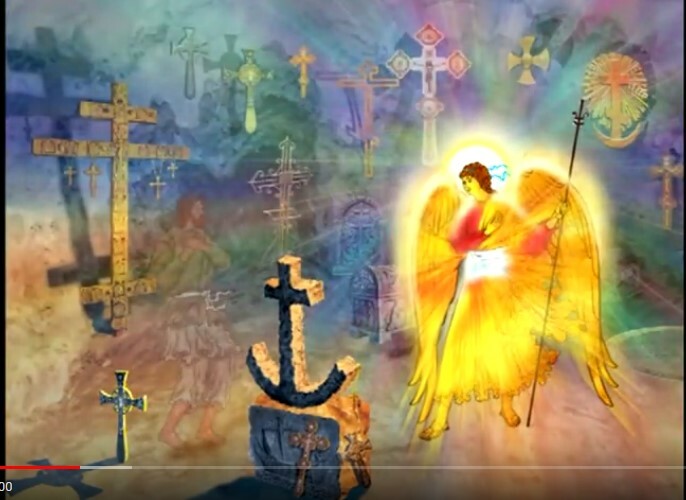 He heralded a great message to the people, which often is the role of the Angels as well as messengers. Lastly, remember, the humility in which he stated, "That joy is mine, and it is now complete. He must become greater; I must become less.” from the Gospel of St John 3:30.